The identities should be known officially soon, but dsc's contacts in France suggest that an additional three of the drivers of the 2007 Peugeots, at Le Mans and in the LMS, willl be two Frenchman and an Italian. 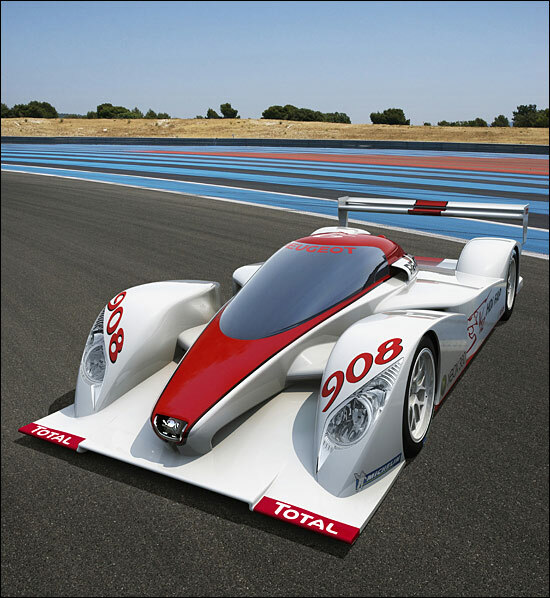 Olivier Panis has long been rumoured to be heading for a Peugeot, and he could make four. He told French TV recently that he is only interested in doing the full programme - Le Mans and the Le Mans Series - with Peugeot. No surprises regarding the two, 'new' Frenchmen, one of whom, a prototype specialist, was in great demand in June of this year, while the other has largely been regarded as a GT1 driver in recent times, but has LMP experience too. These four are likely to be joined by a single seater man for Le Mans, but he has prototype experience too and finished 4th some years ago with a... Peugeot engine behind him! Jean Alesi, who will retire from DTM after Hockenheim, was rumoured earlier (by reporters with brain trouble) as a possible Peugeot driver. But this weekend, at Le Mans (for the DTM) he said once and for all to the French press that he is not interested in Le Mans. He said a few years ago that for him, doing Le Mans again (he raced in the 24 Hours in 1988 - whoops - 1989, thanks pedant!) would be a punishment! Also in ‘not driving for Peugeot’ news, a Le Mans-type driver, racing this season for Pescarolo Sport and as Porsche factory driver in FIA GT, won't drive for Peugeot. A former Toyota Le Mans driver, he would have been an obvious choice, but he has given priority to Pescarolo Sport and the Porsche 997 GT3-RSR next season. Plus, no sign of Eric Helary in the 2007 drivers names so far, despite being the only contracted 2006 driver. Motors TV commentators revealed yesterday that he will have a meeting on Tuesday with Michel Barge to discuss his future with Peugeot. The full line-up should be confirmed later this month. Will these strong Le Mans paddock and press room rumours be confirmed by the official announcement…?